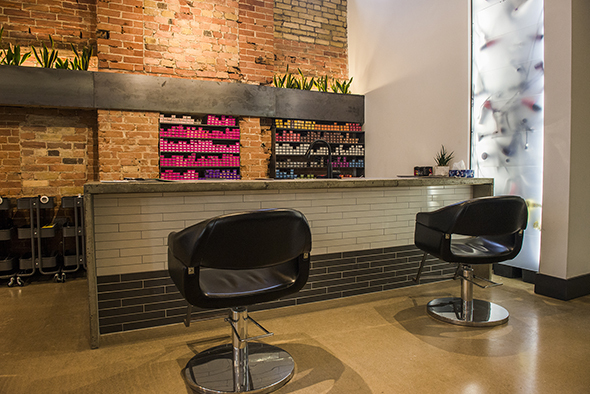 Untitled is a hair salon in Riverside a short distance away from its sister salon, Flaunt Boutique . It took over the property once home to the furniture store Phil'z 20th Century Design . 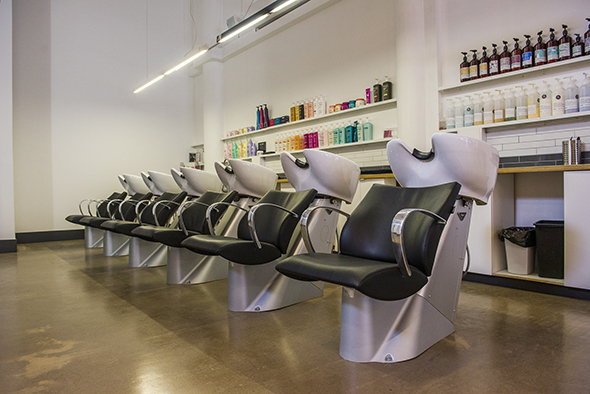 While both Flaunt and Untitled boast high-end service, the two salons differ in terms of their space. In contrast to Flaunt's edgy and loft-style dĂŠcor, Untitled feels, as owner Ivan Gibski describes it, "more grown up." The spacious interior features high ceilings and exposed-brick walls. When I visited, it was a sunny day, and lots of light streamed through the large front windows. 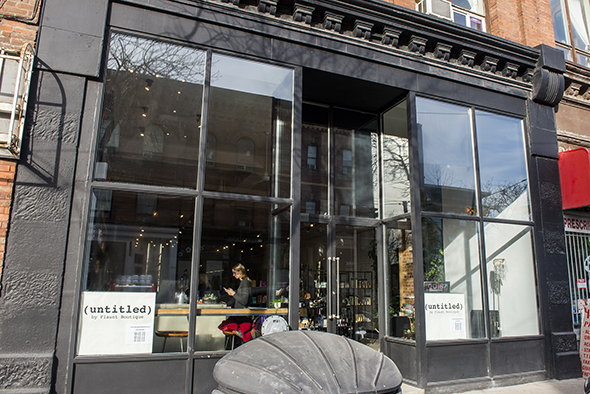 What I particularly like about Untitled is that they serve coffee. At the front of the shop is a La Spaziale espresso machine. I down a latte made from Hausbrandt coffee beans from Italy. 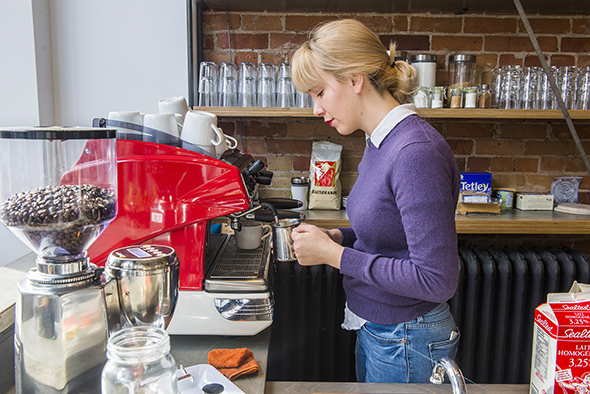 While the coffee is meant for clients, they will serve it to people who walk in mistaking the salon for a cafe (the espresso machine is prominently visible from the street). They probably won't even charge you for it but may encourage you to hang out in the space and talk to the staff. Gibski has worked in the business for 24 years. He brought over with him a couple of the stylists from Flaunt. All stylists in the salon have at least five years of experience so no need to worry about any junior staff here. The salon stocks a few different brands - all of which are available for purchase - but Gibski seems most enthusiastic about the Davines line. The Italian company uses food-grade plastic in their packaging and plant-based inks, and they don't test their products on animals. While the clientele here is predominantly women, they do have their regular guy customers. Guys should appreciate the beard-grooming merch for sale. 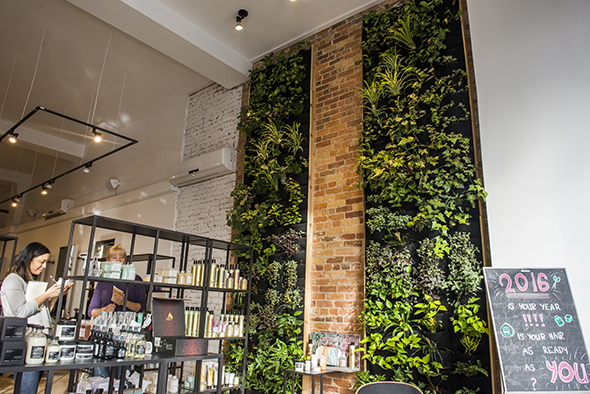 As per most salons, the prices here differ for men and women and vary depending on the stylist, the labour involved and the amount of product used. Women's cuts range from $60 to $105 while men's are $40 to $65. Colour jobs start at $85 and balayages, or highlights, start at $125.